VietNam Bridge – In the 15th century, Western missionaries and traders set foot in the "mysterious East". In Vietnam, commercial stations and commercial ports for European traders were set up in Dang Trong (the south) and Dang Ngoai (north). 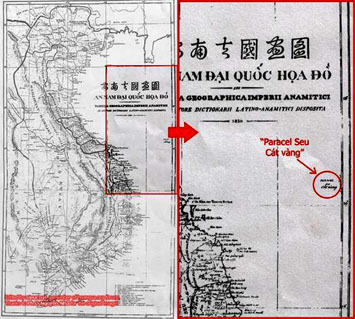 The records kept by Westerners about Asian countries in that period shed light on the historical truth: Hoang Sa (Paracel) and Truong Sa (Spratly) islands belong to Vietnam. A merchant ship passes through the East Sea of Vietnam – picture by John White. In 1494, Pope Alexander VI divided the newly discovered lands outside Europe to Portugal and Spain along a meridian 370 leagues west of the Cape Verde islands (off the west coast of Africa), through the Treaty of Tordesillas. This line of demarcation was about halfway between the Cape Verde Islands (already Portuguese) and the islands entered by Christopher Columbus on his first voyage (claimed for Spain), named in the treaty as Cipangu and Antilia (Cuba and Hispaniola). The lands to the east would belong to Portugal and the lands to the west to Spain. The merchant ships of Portugal went to the East to set up the basis for this country’s long-term conquest. In 1511, Portugal established its trading outposts in Macau and in 1557 turned this place into a colony. From here their vessels sailed through the East Sea. The Portuguese navigators made exploration journeys to the East Sea. Portuguese navigator Fernão Mendes Pinto, who was also a Jesuit, recorded his journey to the East Sea in 1545 in the book titled Peregrinacao, published in Lisbon in 1614. In the book Pinto described the Hoang Sa Archipelago in detail. He called it Pulo Pracelar. In Portuguese, Pracelar means coral and Pulo means islet. The Western missionaries joined merchant ships to go to Vietnam’s Dang Ngoai (north) and they were hampered by the reefs in the East Sea. Portugal conducted many surveys in the second half of the 16th century and identified a series of dangerous reefs. Their coordinates are Hoang Sa and Truong Sa today. In the 17th century, the Portuguese lost their monopoly in the East Sea. A number of other Western nations began to enhance their presence in the East Sea. The biggest rivals of Portugal were the Netherlands, Britain and France. The maritime activities of the Netherlands, Britain and France were mainly based on international trade companies, which were authorized and sponsored by the state. In the 18th century, the East Sea surveys by the East India Company were conducted. The surveys by the Kergariou – Locmaria mission in the years 1778 – 1787 in the East Sea helped them have a better understanding of this area. 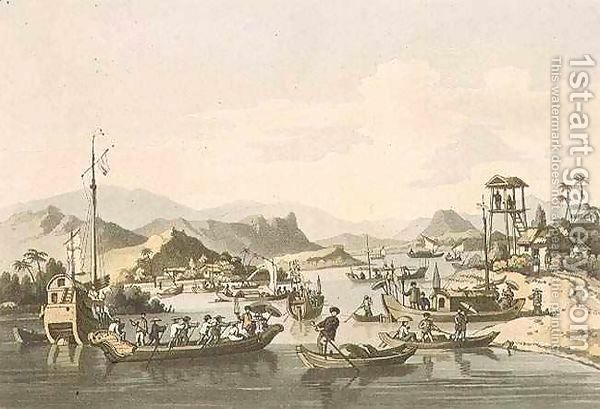 European merchant ships in Hoi An in the 17th century. The French, through the activities of the missionaries and merchants, were interested in and had better knowledge about Vietnam. Bishop Pigneau de Béhaine was well aware of the political situation in Tonkin and Cochin since the civil war between the two areas started and continued until Vietnam was united. The French missionaries on the ship Amphitrite, on their way to China, wrote in its diary in 1701: “Paracel is an archipelago belonging to the Kingdom of Annam. It’s a terrible submerged reef, stretching hundreds of miles. Ships have wrecked there many times”. The map of An Nam by Bishop Jean-Louis Taberd with Hoang Sa and Truong Sa. Captain Jansen reported on the wreck of Grootebroek in the Paracels and the confiscation of 23,580 réaux by the Southern Vietnam authorities. Two years later, under the reign of Lord Nguyen Phuoc Lan (1635 – 1648), on March 6th 1636, two other Dutch ships came to Da Nang. Merchant Abraham Duijeker made his way to Hoi An to see the Proconsul; then he went to Thuan Hoa to have an audience with the Lord to ask for permission to trade, open shops and reclaim the 23,580 réaux confiscated two years earlier. 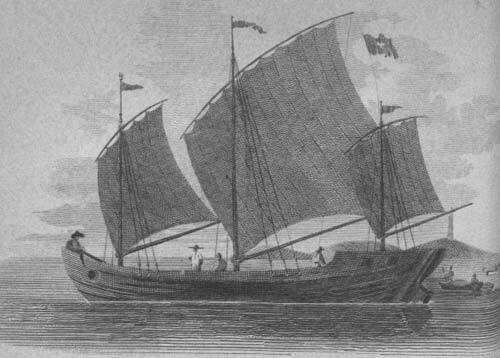 In his book titled “A Journey to Southern Viet Nam in 1792 – 1793” published in London in 1806, John Barrow – a member of the British Mission to China – told about his journey to Viet Nam in 1793 and described in details the types of boats used by the Southerners to travel to Hoang Sa for collecting bird nets. Jean Baptiste Chaigneau, whose Vietnamese name was Nguyen Van Thang, was married to a Vietnamese wife. He used to help King Gia Long drive away the Tay Son Movement. Before leaving Vietnam for France, Chaigneau received a request from Duke Richelieu, the then French Foreign Minister, to write a detailed report on the situation in Vietnam. Notice sur la Cochinchine, the first overview of Vietnam during the early period of the Nguyen dynasty, was written by Jean Baptiste Chaigneau in May 1820 before he left Vietnam for France after 25 years serving beside King Gia Long. The Note was published in the Bulletin des Amis du vieux Hue in 1923. The report started with a description of the shape of Vietnam: “Southern Vietnam, with a crowned Lord, includes Dang Trong and Dong Kinh, formerly Dang Ngoai, … and a few inhabited islands not far from the shore and the Paracels which comprises several small islands, waterfalls and deserted rocks. In 1816, the reigning King seized control of this archipelago”. He also wrote: "Cochinchina, of which the sovereign king today carries the title of Emperor, includes Cochinchina proper, Tonkin: a few scarcely inhabited islands not far from the coastline and the Paracel archipelago made up of islets, coral reefs and uninhabited rocks. It was in 1816 that the present Emperor (Gia Long) took possession of this archipelago." "Pracel or Hoang Sa islands is an area crisscrossed by small islands, reefs and sand, seems to be extended to 110 North latitude and around 1070 longitude Paris… Although this is an archipelago covered by nothing else but islands and reefs, and the depth of the sea promises inconveniences than advantages, King Gia Long still thought that he had the right to expand his territory by that pathetic merger. In 1816, the King held a solemn flag hoisting ceremony and formally took possession of the reefs, with a certain belief that no one would struggle with him… ". In Italy’s Geography Summary (Compendio di Geografia) compiled by Adriano Balbi in 1850, page 641 describes the geography of the Kingdom of Annam: Also belonging to this Kingdom is the Paracel archipelago, Pirati Islands and Poulo Condor Islands (i.e. the Hoang Sa archipelago, the clusters of Hai Tac Islands and Con Dao Islands). Also in this work, from pages 644-648 written about Chinese geography, no mention was made about Hoang Sa and Truong Sa. Another document archived in Santa Maria al Monet monastery in the northern Italian city of Turin also acknowledges that Paracel Islands belong to An Nam or Southern Vietnam. The end part of the book entitled Compedio di Geografia (World Geography) by a renowned Italian geography researcher Adrianno Balbi reads ‘Properties belonging to this empire also include Hoang Sa (Paracel Islands), Hai Tac archipelago (Pirate – Ha Tien Islands) and Con Son Islands (Pulo Condor or Con Dao)”. In the book entitled “An over View of the Southern Vietnam” published in 1862, Cortambert, Vice President and Leon de Rosny, Permanent Secretary of the French Society of Ethnology listed Hoang Sa or Cat Vang in the groups of islands in Viet Nam. The first part of the book regarding the topology, ethnicity and the politics of Southern Vietnam reads “Further to the coastline, facing Hue is the Hoang Sa or Cat Vang, full of reefs. The final end is a hideous sand bank, Macceles field is located in the Eastern part of the Hoang Sa”. The article uses research materials by Dr. Han Nguyen Nguyen Nha, founder and advisor of the Cultural Education Fund in HCM City and Dr. Nguyen Hong Thao.